Welcome to Sligo Canvas Shop, Inc.
your visit to our site is enjoyable and informative. Through out our web site you will be able to see pictures of just some of the custom canvas work we do. You will be able to get to see who we are and how to contact us with any canvas needs you may have. Check out our picture pages and see if there might be some canvas you are missing that will extend your outdoor pleasure. the work we have done for them. 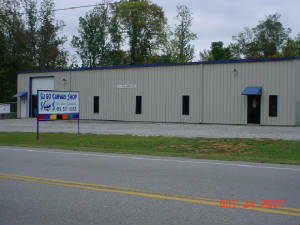 Located 3 miles east of hwy 56 & 70 intersection. Covering a 300 mile radius from this location.